Maptechs ChartKits are full-color reproductions of NOAA charts bundled together in large cruising regions. 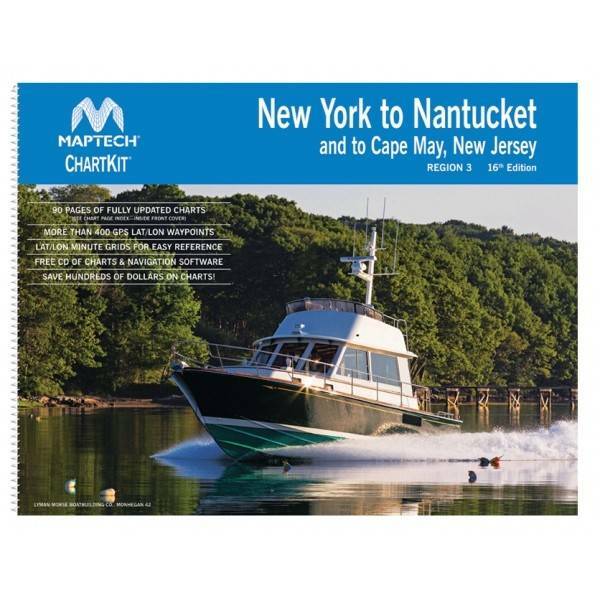 ChartKits have been a mainstay of boating for generations ---- more than 1 million ChartKits have been sold in the past 30 years! A Great Value Youll save up to 90% compared to the cost of purchasing individual government charts. The Perfect Size Large enough to plot routes; small enough to fit on your lap. Easy to Use Pre-plotted waypoints and lat/long grids for your GPS; magnetic courses for your compass. Fully Referenced Geographic and alphabetical indexes quickly point you to the right page. 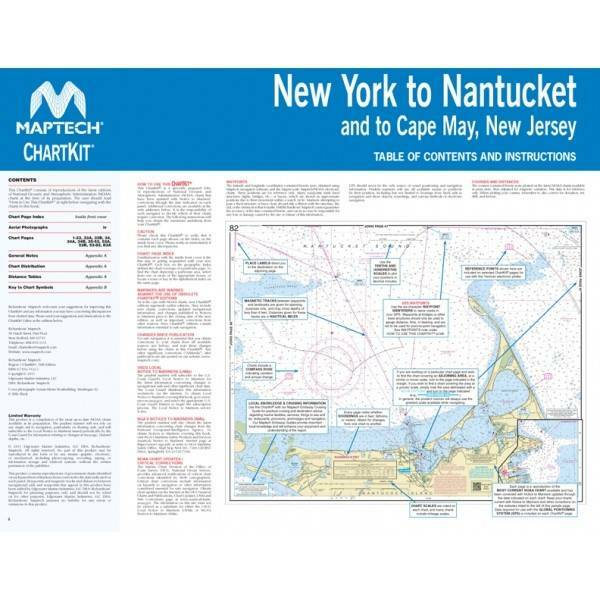 Reliable A great primary or secondary navigational reference.